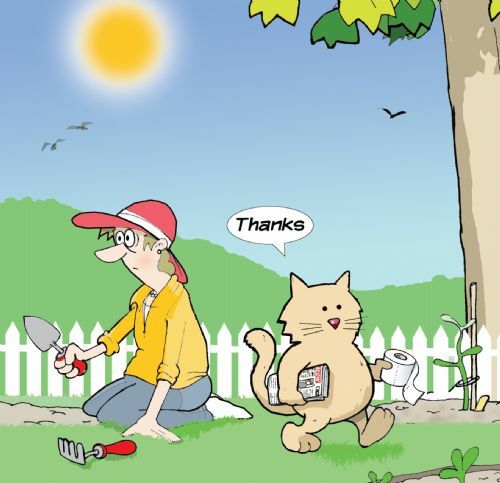 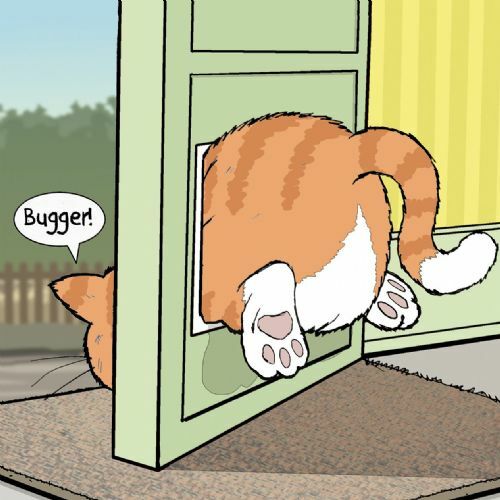 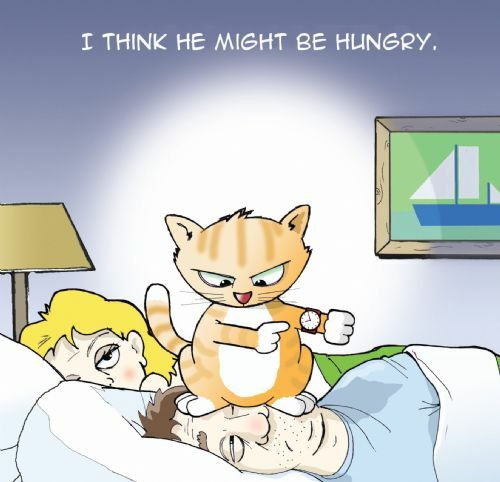 This hilarious card features a very spoilt cat and a begrudging husband! 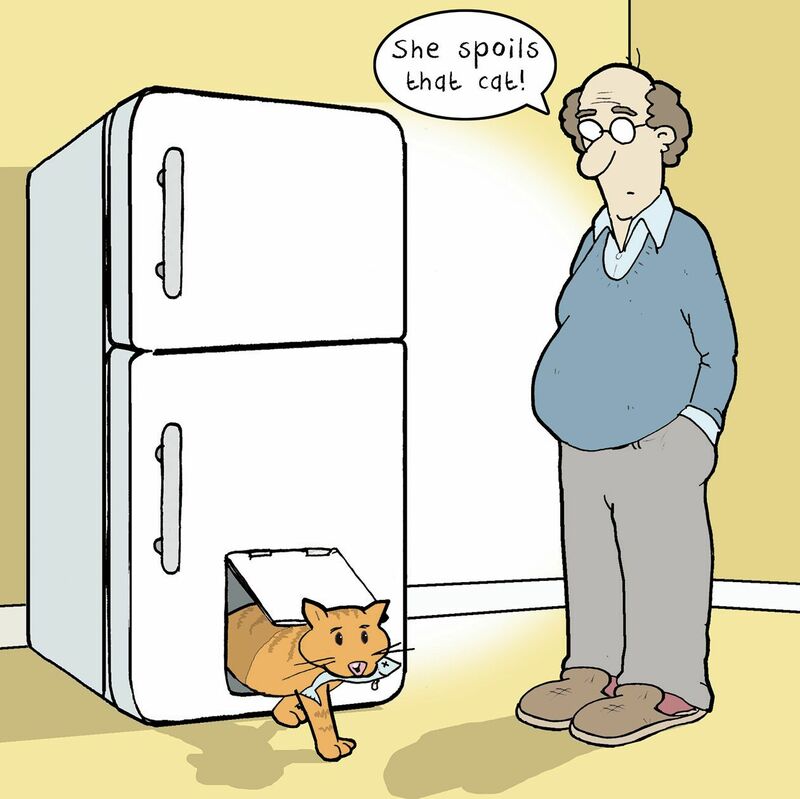 A great card for a cat loveror a despairing husband! 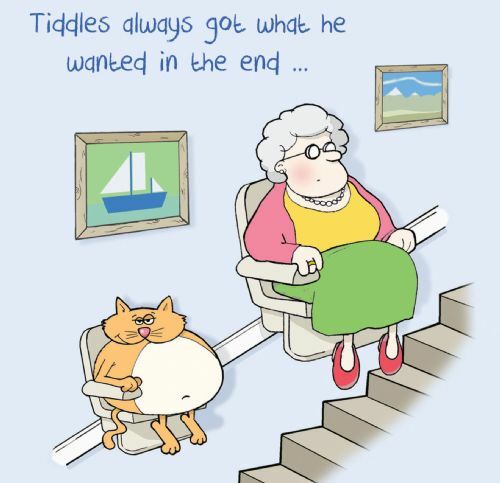 This card is blank inside making it suitable for a variety of occasions. 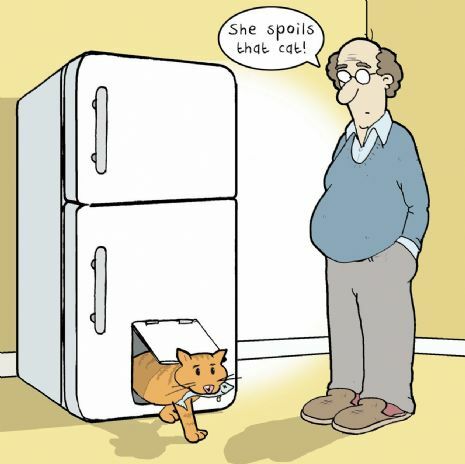 The words on the front of the card reads She spoils that cat!